Blending finances is not a fun activity that most modern couples are rushing to do today. In fact, with so much talk about pre-nuptials and spikes in divorce rate within the first two years of marriage, it’s understandable that some newly-weds are reluctant about pooling their funds. Nevertheless, while money talk may trigger anxiety in one spouse, resistance to merge may be a deal breaker for another. The reality is that financial disparities and disputes such as whether or not to combine incomes have been known to cause major problems leading to separation and divorce in otherwise healthy relationships. Conversely, the idea of merging your money with a spouse that has clearly demonstrated poor money management skills can be off-putting. Even so, failure to establish a mutual money management arrangement at the onset may be fundamentally undermining to a new marriage. Whether you are determined to maintain complete financial independence or you and your spouse have agreed to merge finances, its important to recognize that the right decision is the one that works for you and your partner. And so, as a newly married couple, it is beneficial to get on the right fiscal track early in the game by developing some cohesive ground rules for handling money in your marriage. Finance experts suggest the following strategies to help newly-weds merge their money. The first step is to open dialogue with your spouse about money. Keep in mind that when it comes to money management, honesty and communication are key components that will enable you to implement strategies that are fluid enough to accommodate spousal differences. Although this discussion should preferably occur before you tie the knot, if you didn’t don’t despair. Let the first conversation be easy and casual to create a comfort level going forward when talking about money. Initially, this conversation should explore each other’s emotional relationships with money, how much, if any, debt each person is carrying into the marriage and individual fears or notions about combining finances. Explore the pros and cons of filling Joint verses separate tax returns. Once you are married, you have the option to file jointly or separately. IRS offer several benefits for filing jointly such as higher income thresholds, extensions, separate exemptions and multiple tax credits among others. 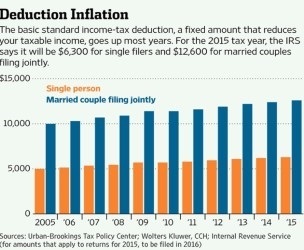 In addition to consequences such as fewer tax consideration and a higher tax rate, couples who file separately are automatically disqualified from some of these deductions and credits. For instance, couples who filed jointly in 2016 received a $12,600 standard deduction compared to deduction of $6,300 for married couples filing separately. It may be a good idea to sit down with a financial adviser who can help you to explore the advantages and disadvantages of both options. However, if you are financially savvy, another way to determine which option will be right for you is to prepare the tax returns jointly as well as separately. Then, based on the net refund or balance due from each calculation it will help you to decide which works out to be more beneficial for you as a couple. Create a joint account to pool funds for non-discretionary spending. Review non-negotiable recurring bills such as rent or mortgage payments, car payments, grocery, phone bills, utilities and insurance premiums. Decide on a realistic buffer for variables in recurring bills like grocery and utilities by reviewing the expenditures for the last six months. Incorporate contributions for savings and retirement accounts. Leave some wiggle room for discretionary spending, such as for dining out and other nonessential expenses that you share as a couple in the budget. Plan to track your budget to ensure that you are spending within financial allotments. 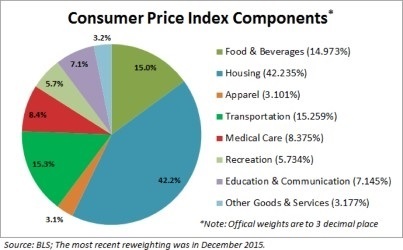 The following chart highlight basic categories typically included in a budget. Since life can derail even the best intentions, plan to reevaluate the budget every three to six months; especially in the event of any major setbacks such as loss of income or an unexpected expenditure. If you opt for a hybrid system, remember to be flexible about personal spending for each spouse. Keep in mind that individual goals and dreams may not always align perfectly or even closely. That’s fine as long as both partners work together for the main objectives and the disparity between compromises are reasonable. Although there are pluses and minuses to keeping finances separate, opening a joint bank account to handle the budget and other shared expenses can greatly simplify a couple’s finances as well as establish a level of spending accountability and ultimately build trust in the marriage. Building an emergency fund is critical to peace of mind for every couple. This requires setting aside a predetermined amount regularly as a cushion for major issues such as car repairs, illness, replacement of an important appliance or changes in income stream to name a few. It is best if this is incorporated into the budget and treated as a priority. Make a plan to get out of debt. Young couples trying to live up to their parent’s standards of living in the first year of marriage often get bogged down into heavy debt for expensive furniture, high rent and car payments. Beginning with a strong intention of eliminating debt rather than creating it by working out a feasible plan with your spouse and a wise financial planner can put you on a stable fiscal track that will be super beneficial when little ones create unavoidable demands on finances. There are many financial planning associations that can help newly married couples to create a strategy for merging their money that will be tailored to their specific needs and circumstances. Making the right decisions early about money management issues such as whether or not to merge, what to save, budget needs, taxes, insurance, debt cancellation, retirement plans and saving for future investments can add a layer of protection against economic discordance in the home.